My response to the remains of the industrial tin mining landscape of Cape Cornwall… its dangerous, poignant and poisonous history (see my previous post). An acrylic and mixed media work on deep-sided canvas 40x50cm. 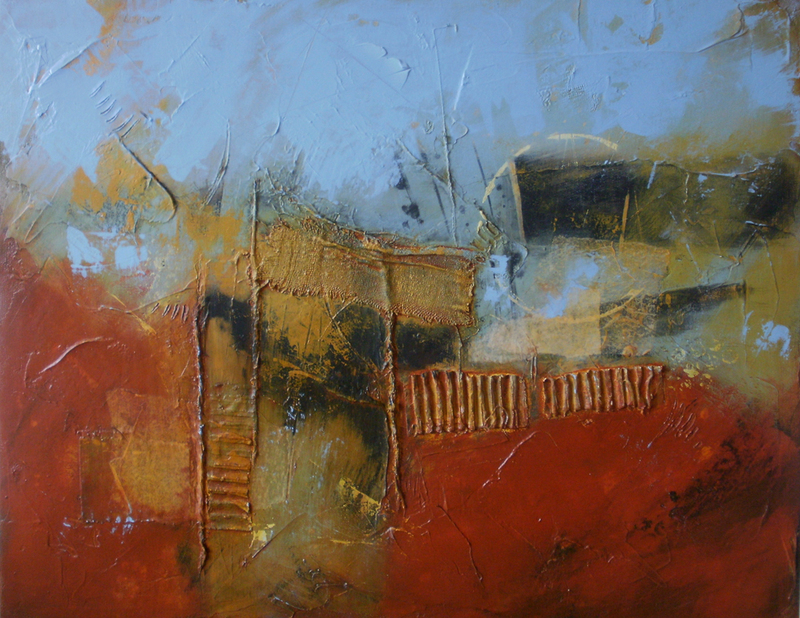 This entry was posted in art, Mixed media, Uncategorized and tagged abstract, acrylics, art, blue, cornwall, landscape, levant, minerals, mining, mixed-media, ore, painting, red, texture by mari french. Bookmark the permalink. thanks for having a look Ian, pleased you like it! Not be be morbid but I love the contrast between the wild, whipping stuff above the horizon and the almost bleeding bit below. You can imagine shadowy moving figures in the dark parts …. magic! thanks elaine! it feels a bit of a departure for me… trying to get away from the usual type of landscape image I usually produce.